A single ticket for one person to be admitted to the 2019 WAIA gala. Multiple single tickets can be purchased this way. You will be contacted by the WAIA office by phone to confirm mailing, pickup or will-call hold of the actual tickets. 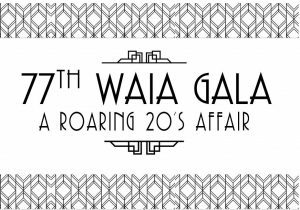 More information on the event page: WAIA Gala 2019 – A Roaring 20s Affair!